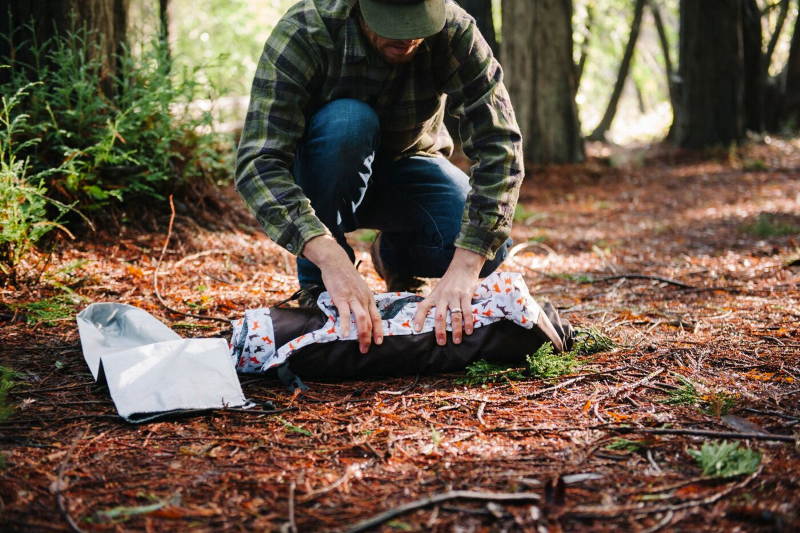 CarryMyDog.com is pleased to bring you a dog tent that’s a rugged as it is beautiful. 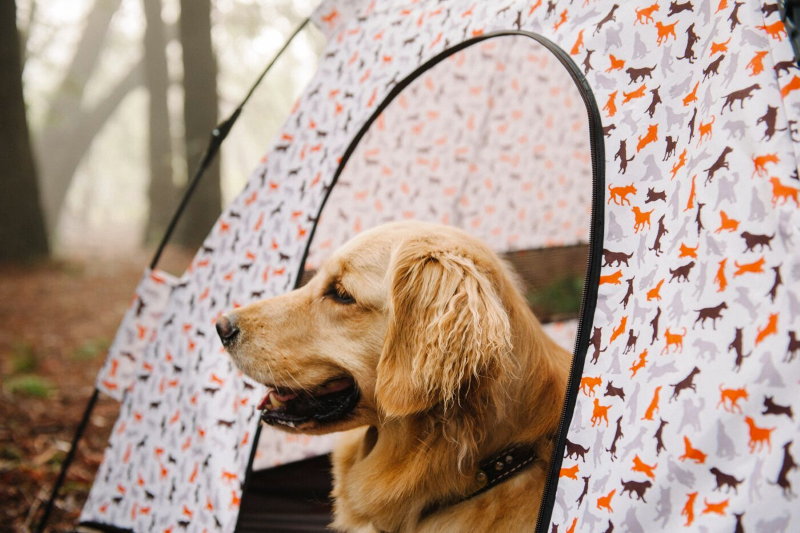 A fully enclosed floor and a water resistant roof means your special friends will be cozy and dry in this first quality pet tent. 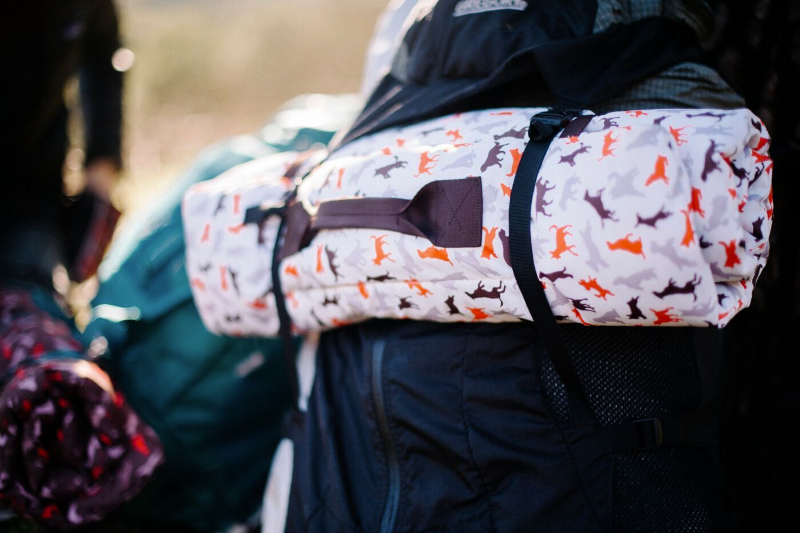 Mesh sides and a roll up door means lots of fresh air and visibility for your dogs. 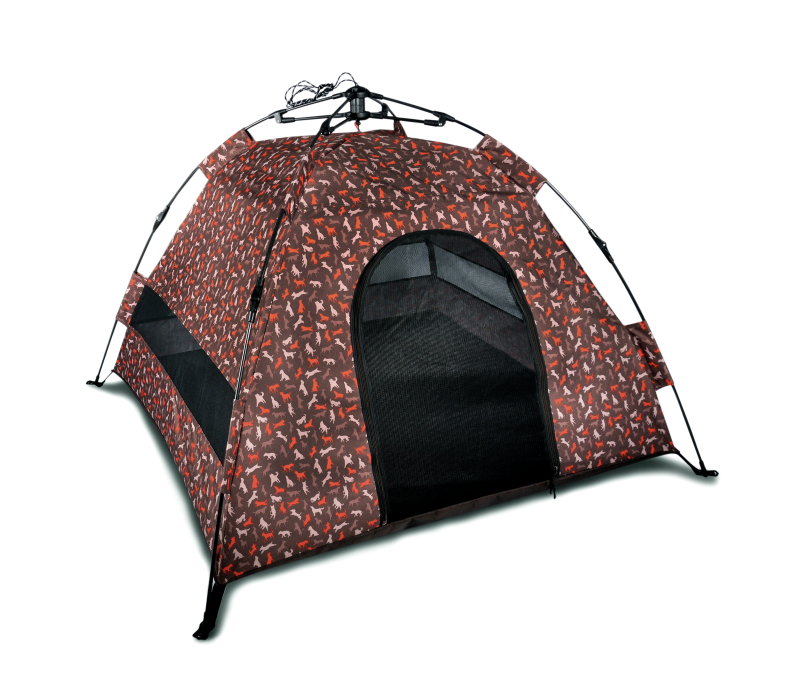 You and your pets will enjoy this great designer tent while camping, at a competition event or perhaps in the back yard. It’s good looking yet economical. Sorry, we are out of stock on this item until early June, 2016. Get yours on order now or please check back. It's a great product and they sell out fast! 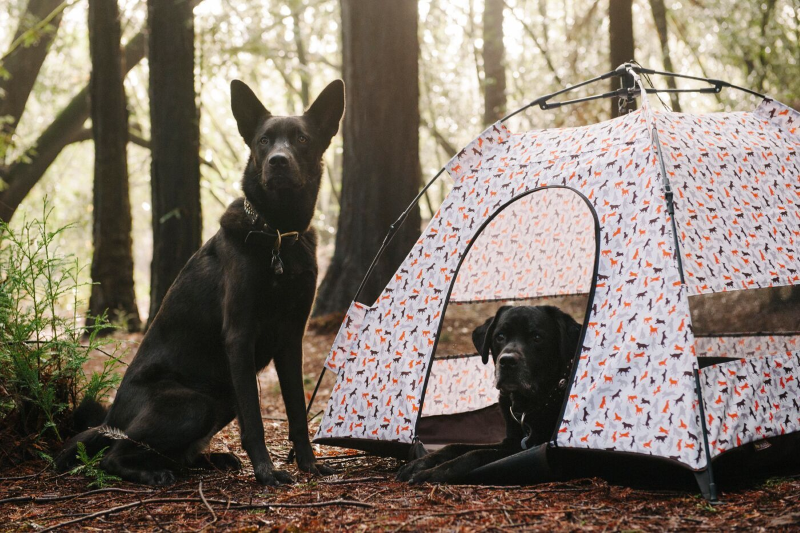 This great dog tent is part of the P.L.A.Y. Scout & About Outdoor collection. 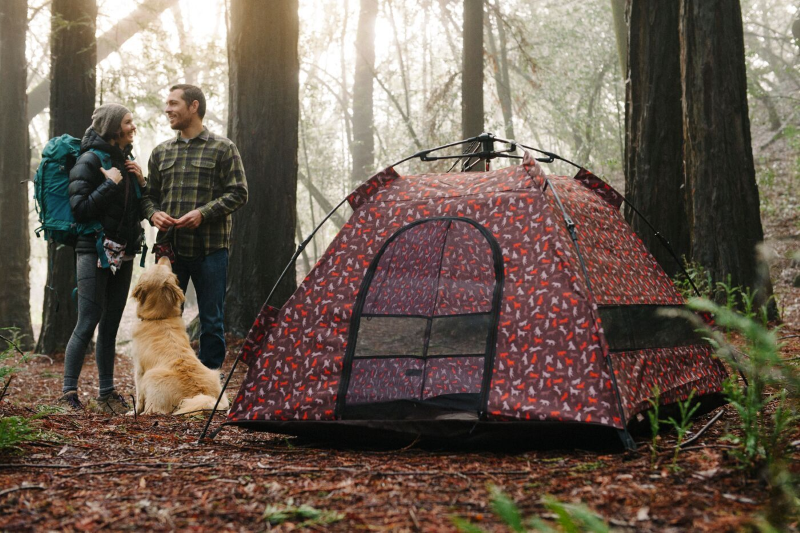 It has all the features you expect in a first quality pet tent and more. 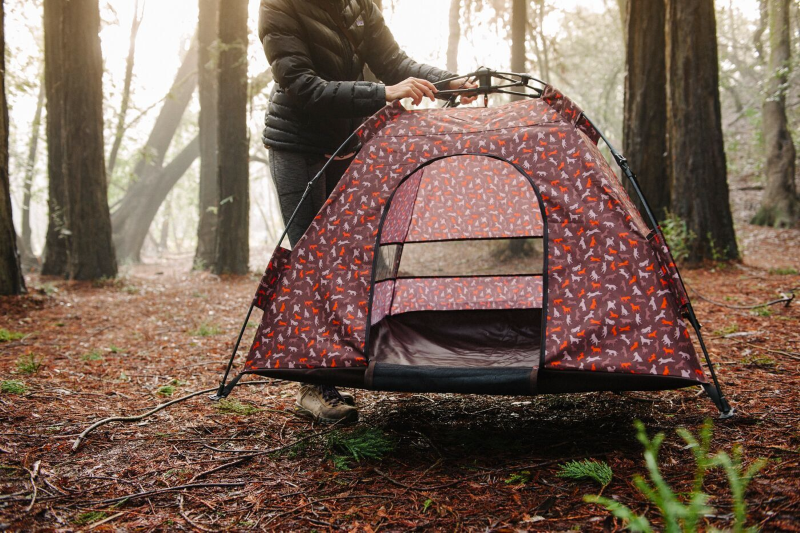 From the easy pop-up assembly to the collapsible design this tent will exceed expectations. At only 4.63 lbs. 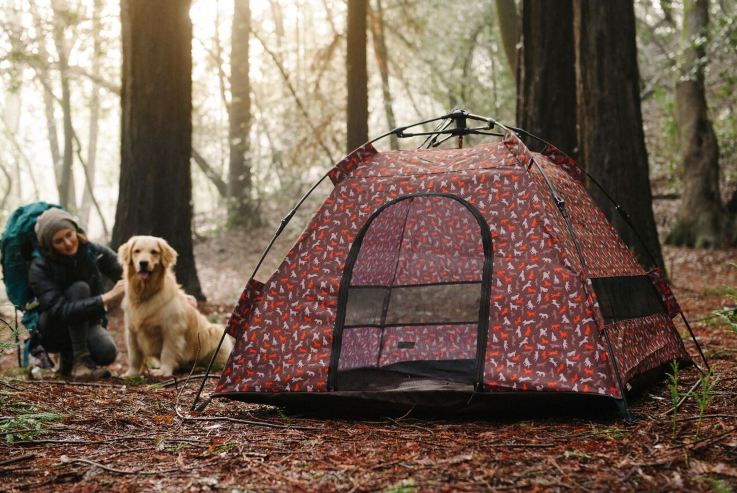 this beautiful tent will be a welcome addition to your outdoor activities with your pets. Fully-enclosed floor for security. It keeps pets in and unwanted visitors out. 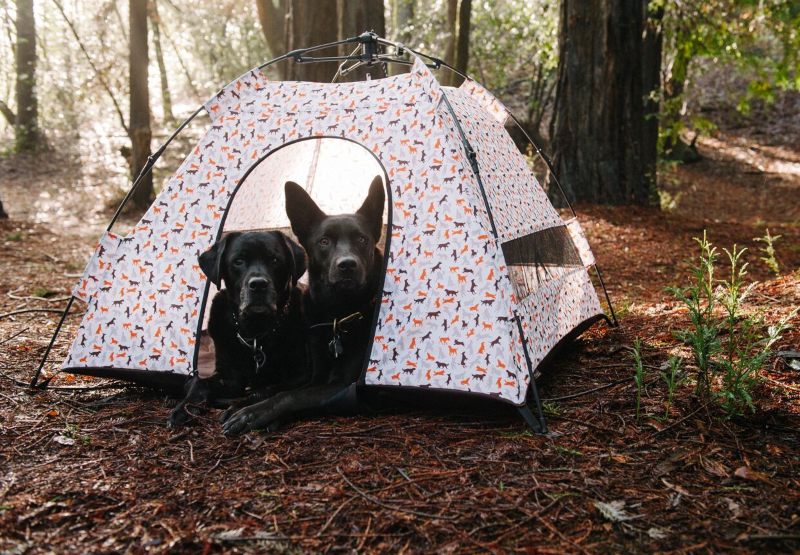 Water-resistant roof to keep your best friend dry. 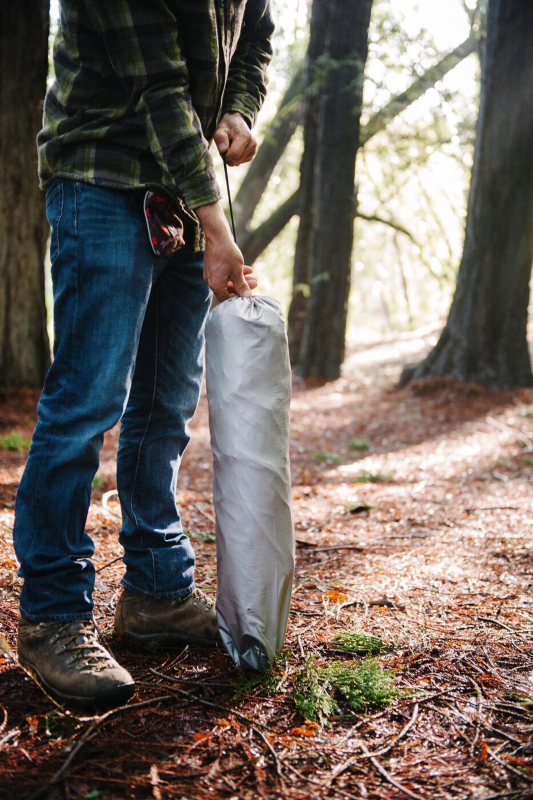 A portable lightweight tent at only 4.63 lbs. Easy to store or carry. Mesh sides and a roll-up door means plenty of fresh air and visibility for your pets. Simple pop-up assembly, collapsible design plus a carrying case for easy travel and storage. Intertek-certified UV-resistant to prevent water seepage and discoloration. 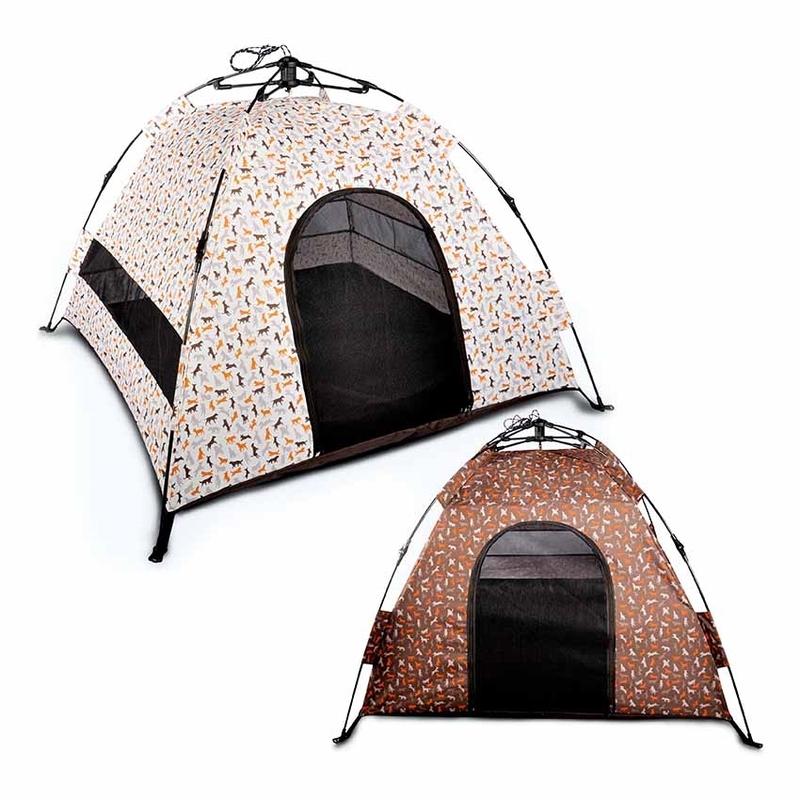 This pet tent is made of durable high performance 600-Denier PE fabrics. Furniture grade craftsmanship including even-basting stitching for years of use. Includes 4 tent stakes to secure the tent to the ground. Step-by-step assembly instructions are included. This pet tent is very easy to clean. Just spot clean with a wet cloth or hose it off. Be sure to let it dry completely before rolling up for storage or transport. 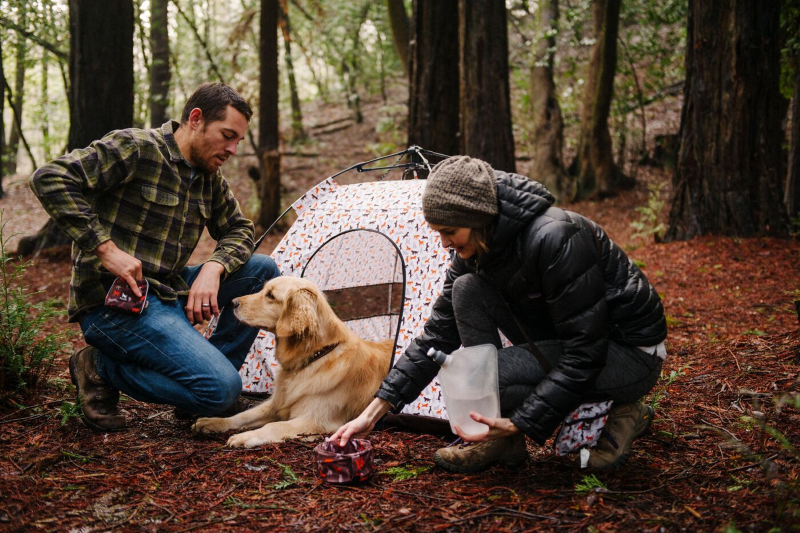 This rugged pet tent is made in a facility that meets the strict quality standards for infant and children products.